There are so many do’s and don’ts in creating a long-lasting septic tank and related soakaway system, that various authors on the subject have such diverse opinions which cause the “newcomer” to question “which route to follow?” We, therefore, offer our guidelines in respect of what we consider to be the essential grease trap – otherwise known as a fat trap. The reader should consider the various types of greasy materials being intentionally (or otherwise) allowed to be disposed of by being flushed down the kitchen sink, dishwashing machine, personal bath or shower, washing machine, hand wash basin, and so forth. A simple grease trap, situated beneath a gulley head, will offer an almost lifetime guarantee against “blocked” French drains/soakaways – not forgetting the inevitable call to the plumber to advise that the septic tank is “full” and needs to be emptied. The installation of a basic, low maintenance, grease trap insures against the total failure of the septic tank and soakaway system. In fact, the grease trap is the most essential item to ensure the perfect function of a septic tank and soakaway system. No grease-type/fatty materials should ever be allowed to enter any drainage system. 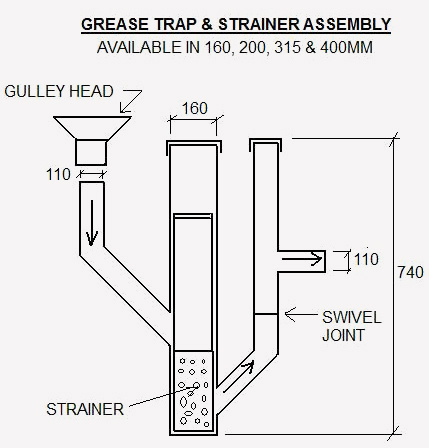 We offer a cost-effective simple plastic grease trap that will serve almost a lifetime at a fraction of the cost of an entire system, plus an elegant square gulley head to enhance the grease trap. 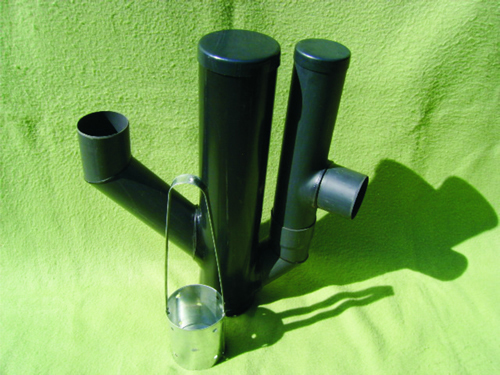 The grease trap we offer is available in four different sizes to suit the application.